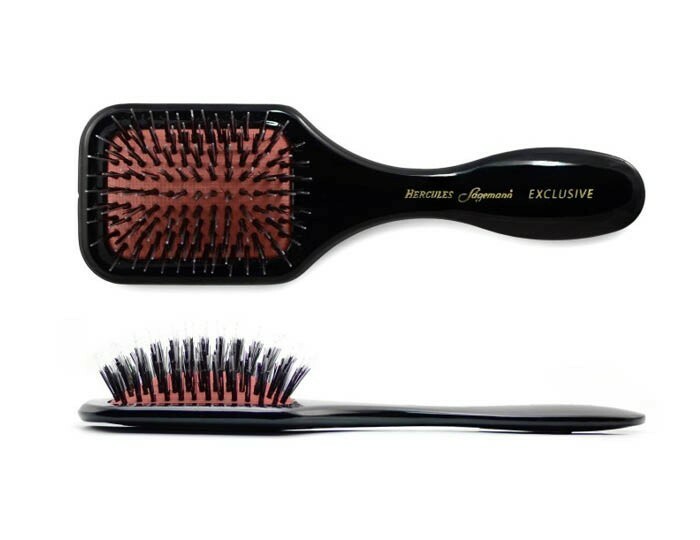 Exclusive brush by Hercules Sagemann is the most premium hair brush the world has seen. 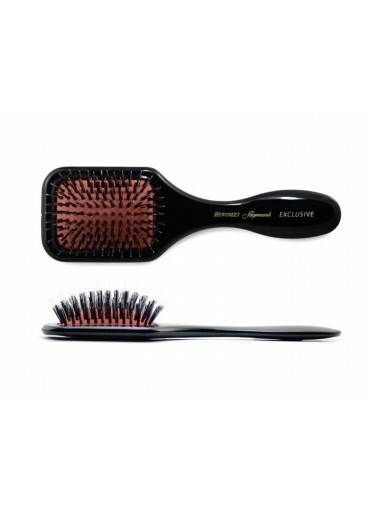 For over 150 years, esteemed German company has been producing the finest hair combs and brushes that offer maximum protection and bring silky shine to the hair. 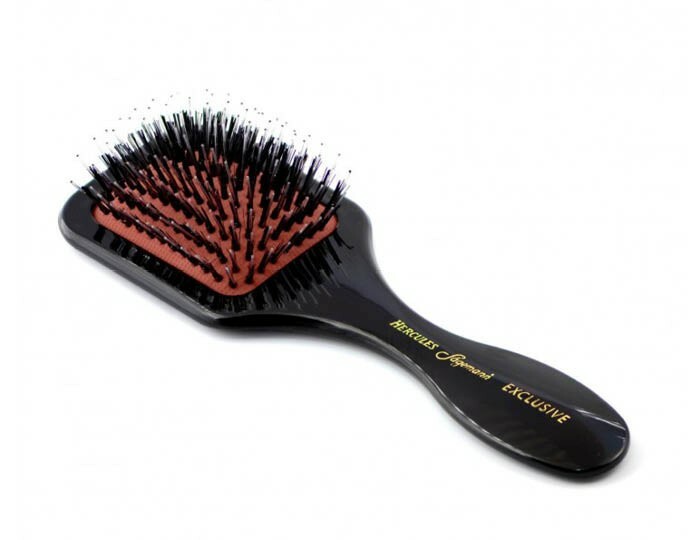 Exclusive brush is the world’s first hard rubber brush with natural, dense boar bristles and highly polished, almost indestructible handle. 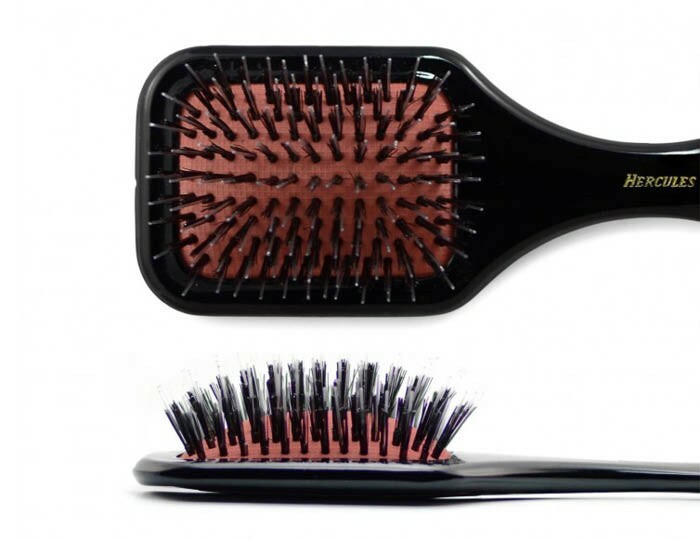 The bristles spread natural oils from roots to ends and nourish the hair all the way long and smoothen the surface, thus making it glow with natural health. 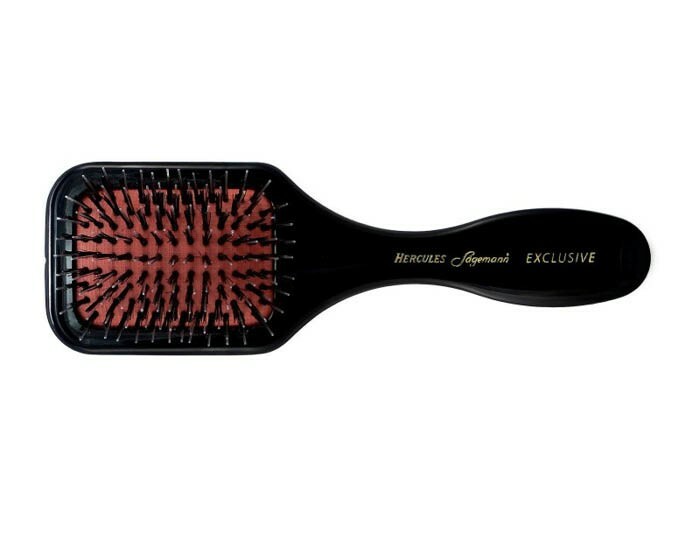 Exclusive brush with a mini paddle is a luxurious gift for men and women who choose to invest in first class quality grooming tools.